ICARE provides insurance to 3.3 million employees and 290,000 employers across NSW. Insurance supplied by ICARE is designed to improve the overall quality of life outcomes, such as those who have experienced a work accident or injury trying to get back into employment. Along with providing workers insurance, they also manage corporate workers insurance policies. 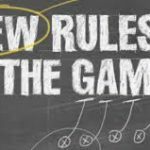 If you have received your workers compensation renewal lately, you may have noticed that your workers compensation insurer has changed. All Workers Compensation Insurance policies in NSW are progressively being transferred to ICARE (previously Workcover NSW). ICARE Workers Insurance, formerly WorkCover NSW have announced that they will directly administer the policy and billing requirements under the NSW Workers Compensation Scheme. There will be no change to claims management under the Scheme, or your current claims management contacts or services. The changes to policy and billing will result in employers being able to purchase and renew their NSW Workers Compensation Insurance policies through the ICARE online self-service portal. Through the portal, all policy information will be consolidated in one place, providing transparency and accuracy. This will essentially see NSW operating similar to South Australia and QLD with policy and premium management being handled directly by the regulator. At this stage, we do not perceive any significant changes to the way your policy will operate in NSW and note that these changes will not impact the policy costs currently within the state. When your workers compensation policy renews next you will be transferred automatically to ICARE. Most NSW’s Workers Compensation Insurance premiums are renewed automatically. A certificate of currency will be issued upon renewal of workers compensation as part of the documentation. Automatic renewals of workers insurance will use 2017 – 2018 renewed wages figures including an approximate increase of 3%. You are granted 3 months to provide wage estimate revisions for 2018 – 2019. 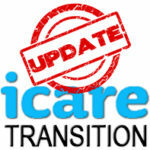 ICARE will then issue an amended installment schedule and tax invoice. 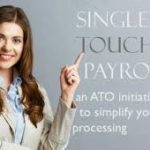 Any wage revisions will need to be submitted after the first 7 days of July. As of June 30th, fatality claims will be removed from the cost of claims which ICARE uses to calculate premiums. A single contribution will be applied and will be invoiced at the end of the policy period. Insurance Premiums will be capped at a maximum of 30% in comparison to the previous years premium.